2 Bedroom Flat For Sale in Stanmore for Asking Price £445,000. Show Flat Available To View. A great place to live, this Second Floor 2-Bed/2-Bath apartment is conveniently located a few minutes walk from Stanmore's Jubilee line station, perfect for commuters with the added bonus of being in close proximity of Stanmore Broadway. 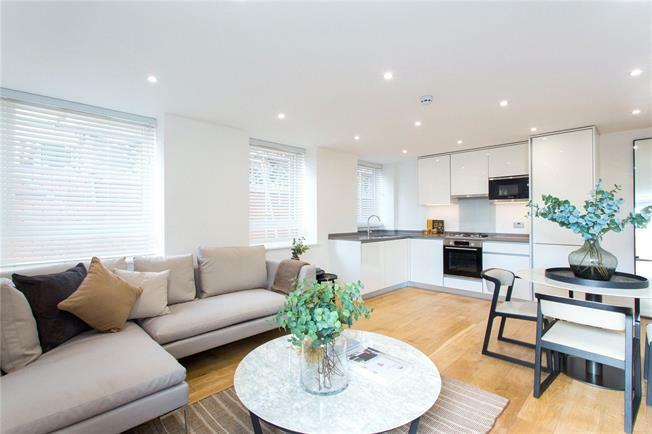 This Second Floor 2-Bed/2-Bath apartment has a fully fitted Kitchen with integrated appliances, fully tiled Bathroom and Ensuite, flooring throughout and bespoke built-in wardrobe to bedrooms.